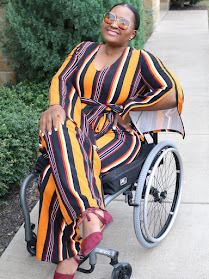 Long Post Title I know, but are YOU ready for today's post? I mean, are you really ready? 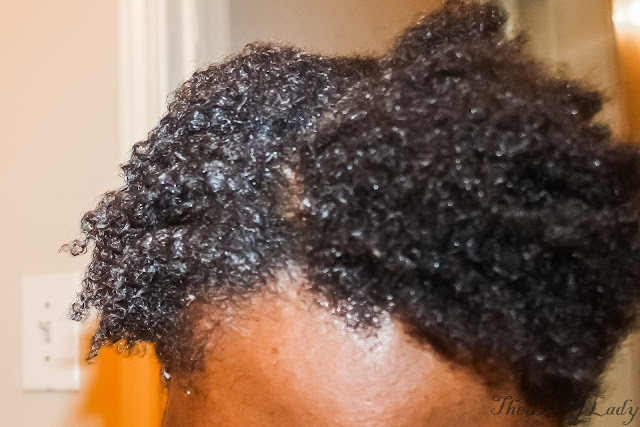 I'm talking to YOU, the one with really strong natural hair that just won't comb or get soft no matter how hard you try, or how many products you use! 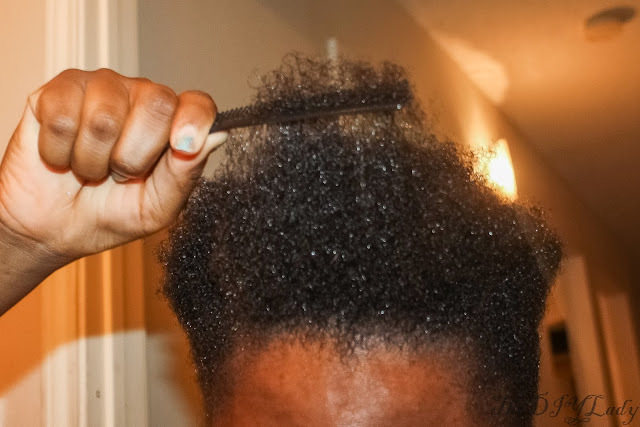 Do you have hair that pretty much gives you an headache whenever you comb it? Ok, I'm starting to sound "Info-mercial" like, BUT y'all, this product I have for review today is really BEYOND amazing! As most of you know, my hair is natural, African American Hair, heck, it's natural NIGERIAN Hair! lol... It's not always really hard to comb, but it does get difficult to comb sometimes, especially after I take down an hairstyle/weave and wash it. I know making such claims could end up biting me in the bum, especially since different people/hair react to different products in different manner, but I somehow doubt that this won't work for all hair types - Don't quote me though. Lol. I present KOR NATURALS - Intensive Quinoa Protein Treatment Masque! This stuff is amazing! It worked wonders on my hair and made it soft after first use. I was skeptical before trying this of course. I seriously didn't know what to expect, but I figured, an hair masque shouldn't do me harm especially since it has protein in it. lol..
With my hair in its natural state - already shampooed but dry - I used my bare hands to apply the product to my hair in sections. As you can see below, the right side is done, and the left is not. I just applied a decent amount of product to saturate my hair. 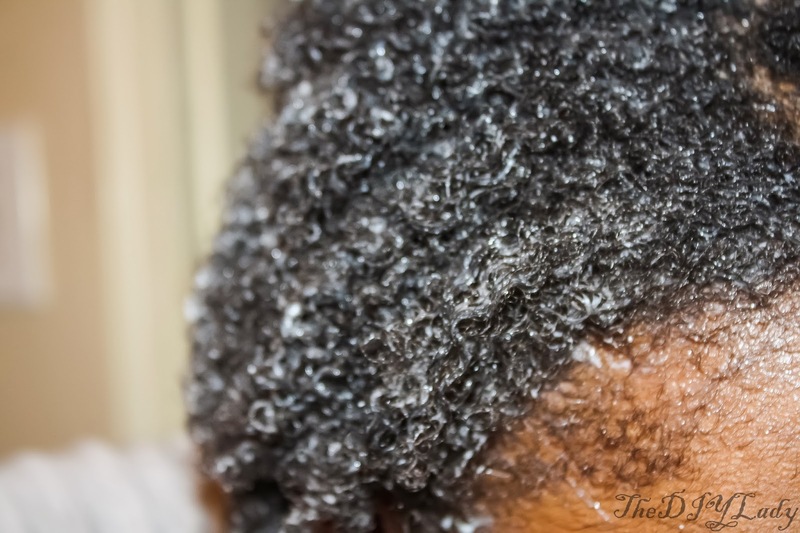 I noticed that my hair felt softer to touch as I applied, but I was still like, Well, of course it's soft, the product is on my hair, I want to see what it feels like AFTER I wash.
Below is an up close look at how my hair was after applying this. Once I had all of my hair saturated with the product, I combed my hair (NO TANGLE, it was very easy to comb), and then I covered my head with a shower cap and sat for about 15-20 minutes with the Masque on my hair. 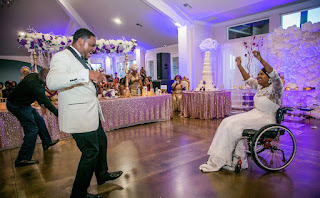 Below is after I took off my shower cap. I rinsed the product off my hair, no conditioner, no shampoo and I was able to comb through with the smallest comb I have! No lies, no joke. My hair was soft! I posted on my Instagram @thediylady right after I used this! I was seriously in awe of how soft my hair was. 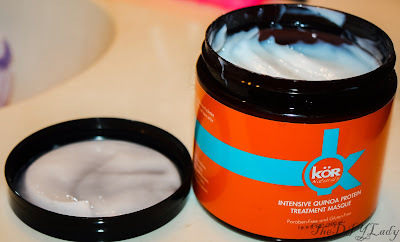 Kor Naturals - Treatment masque IS NOT A RELAXER. As you can see in the above picture, my hair is still in it's natural state, just a lot softer and easier to comb. I certainly will make sure to use this masque whenever my hair is out and not in a protective hairstyle. Who doesn't like easy to manage/comb hair? Here's what the Kor Website says about this product. The Intensive Quinoa Protein Treatment Masque penetrates deeply to help repair, seal and smooth even the most damaged hair. It restores hair’s health, silkiness and shine by providing nourishment to each hair follicle and increasing strength and protein bonding. I have heard about people using masques on their hair, but I never tried it, and I always thought, the masques would somehow dry out the hair.. 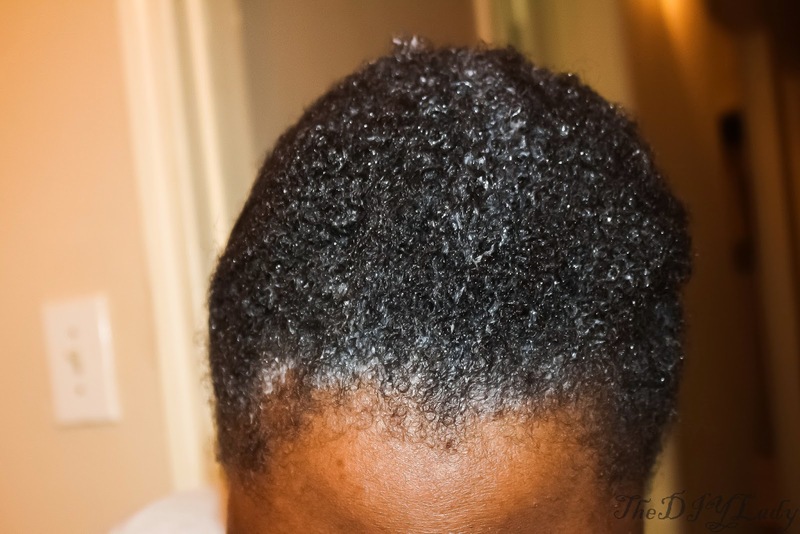 But this particular masque didn't at any point dry out or become hard on my hair. If you're interested in this or want to check out more hair products, please go to Kor Hair's Website. 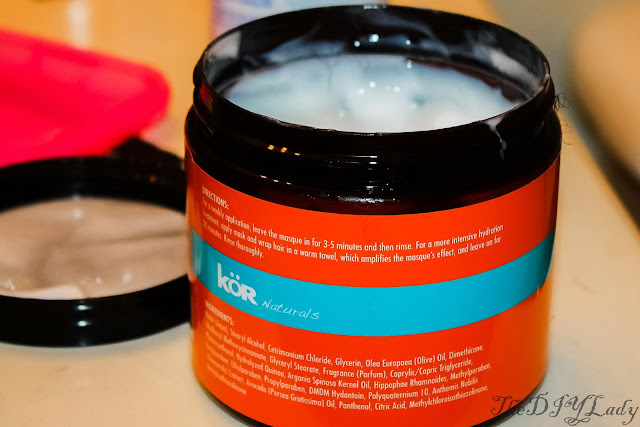 Kor Naturals products are packed with Proteins and Amino Acids to nourish your hair! Let me know if you've tried this product before or if you try it after reading this review. I definitely want to read how it works for you in the comment section below. That's it for now sugars. Till Later, God Bless. Product sent for review. Opinion are 100% mine. This masque sounds like it would work great on my coarse curly hair! i'm not natural but i'm all for soft hair!!!!!! This sounds awesome....healthy hair is happy hair! wish i could find this product and try it. my new growth really need this.